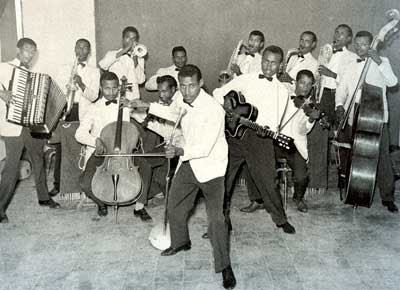 Ethiopia has a very rich and diverse music history. The various tribes and ethnic groups of Ethiopia have their own distinct music culture and tradition. The Tigrayans to the north have this smooth, circular dance routine culminated with shoulder and neck movement. The Amharas at the center have dance style dominated by upper body and neck movement. The Oromos to the center and south have this jumping style and full body dance routine. 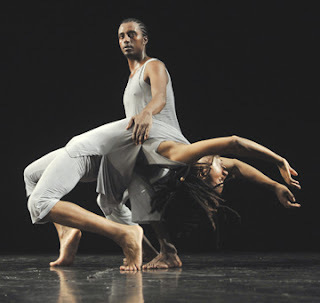 The Gurages have an acrobatic dance that requires high level of arm, leg and body coordination. Traditional Ethiopian music instruments include the masinko, a one-stringed violin like instrument that is played with a bow; the krar, a six-stringed lyre, played with fingers or a plectrum; the washint, a flute made from bamboo; and various drums. There are three types of drums that are used in different occasions: the negarit (kettledrum), played with sticks, the kebero, played with hands, and the atamo, tapped with the fingers or palm. 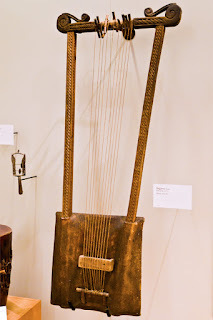 Other instruments include the begenna, a huge, multi-stringed lyre often referred to as the Harp of David; the tsinatsil or sistrum, which is used in churches; the meleket, a long trumpet without fingerholes, and the embilta, a large, one-note flute used on ceremonial occasions. In addition to the above traditional music instruments, Ethiopian music also includes various types of modern music instruments that are used by bands playing Ethiopian jazz, pop, and the like. Modern Ethiopian music instruments include the guitar, percussion, violin, saxophone, mandolin, clarinet, accordion, etc. The masinko is one of the most popular traditional Ethiopian music instruments used throughout Ethiopia. It is one of the fixtures in Ethiopian culture. Although it looks simple, the masinko can, in the hands of an expert musician, produces a wide variety of melodies. It is often played by wandering minstrels as well as professional musicians, particularly at eating houses and local bars called "Bunna Bet" or "Azmari Bet". The word Azmari is derived from the Geez word Zemmari, which means "one who sings". Today, the concept mainly applies to establishments where professional masinko players and the female singers that accompany them play. 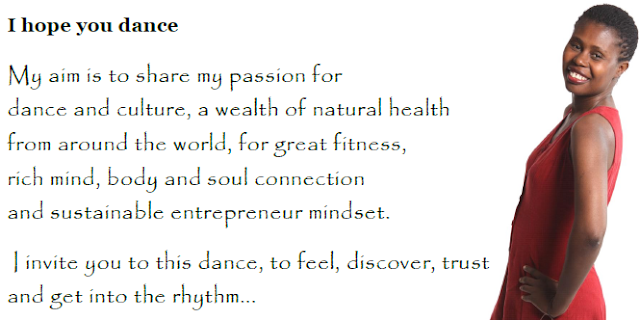 When it comes to Azmari performances, lyrics can be largely improvised or sung with the art of double meaning called Kinie or Semmna Werq (meaning, the literal and the hidden messages). The audience is not supposed to take the lyrics literally - they are challenged to listen carefully to get the "golden" sense. The Azmaris may praise individuals in the audience through their songs to uplift their mood. This favor in Ethiopian culture is usually responded in kind by awarding the performer cash - by pasting a bill on the forehead, or stashing it in the performer's shirt. Azmaris also accept verses thrown at them by members of the audience and skillfully incorporate them into their music. In traditional Ethiopian music and Ethiopian culture, the skill at improvisation by the Azmari is as important as his/her vocal performance, or his/her skill at playing the masinqo. With such improvised lyrics, one may appreciate, denounce, advice, teach, entertain, and much more. In recent years, Azmari Ethiopian music performances have even spread to other parts of the world outside Ethiopia. One can find "Azmari Betoch" in some parts of Europe and North America where there are significant pockets of Ethiopian immigrants residing, including in cities such as Washington DC and Los Angeles in the USA, and London in UK. Although these establishments are not exactly the traditional Ethiopian "Azmari Bet" variety, they offer many of the services their counterparts in Ethiopia provide, including music using the masinko. Please take a moment to tell me about your observations or any particular comment you may have on Ethiopian Traditional Music and Dances Culture.